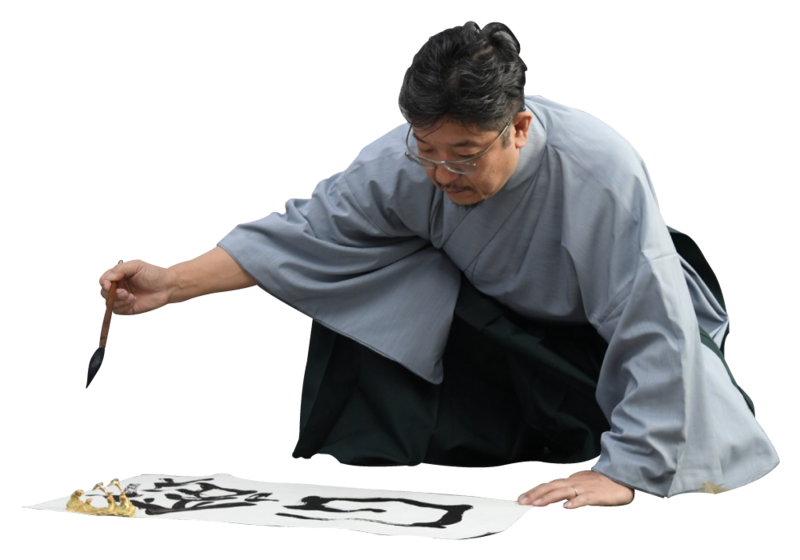 "Being a calligrapher, I of course use symbols to directly deliver the messages which I wish to convey. But beyond each character written is that other dimension which hides in the void. Where white paper and black ink meet, there lies contrast of the greatest extreme, and that mysterious duality must manifest itself harmoniously in order to uphold the integrity of each character. Whether writing classical or abstract pieces, I really have only one hope for the art: may it bring others together and inspire them to find the same harmony in life that I try to express on my page."